This is the story of how Americans attempted to define what it meant to be a citizen of the United States, at a moment of fracture in the republic's history. As Erik Mathisen demonstrates, prior to the Civil War, American national citizenship amounted to little more than a vague bundle of rights. But during the conflict, citizenship was transformed. 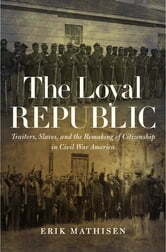 Ideas about loyalty emerged as a key to citizenship, and this change presented opportunities and profound challenges aplenty. Confederate citizens would be forced to explain away their act of treason, while African Americans would use their wartime loyalty to the Union as leverage to secure the status of citizens during Reconstruction. 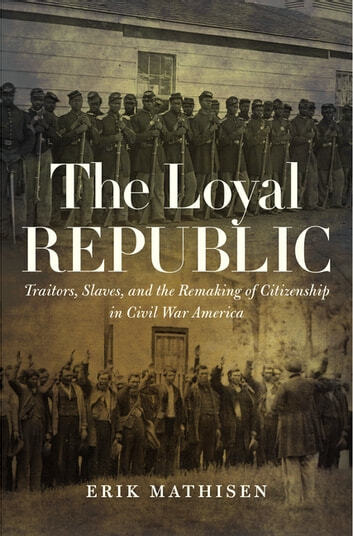 In The Loyal Republic, Mathisen sheds new light on the Civil War, American emancipation, and a process in which Americans came to a new relationship with the modern state. Using the Mississippi Valley as his primary focus and charting a history that traverses both sides of the battlefield, Mathisen offers a striking new history of the Civil War and its aftermath, one that ushered in nothing less than a revolution in the meaning of citizenship in the United States.